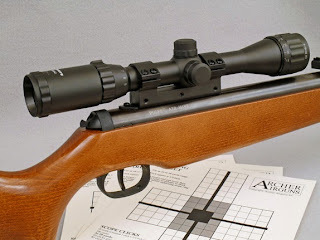 Archer on Airguns: Airgun Scopes Back in Stock. 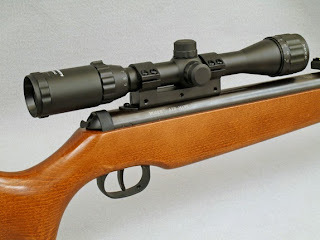 Airgun Scopes Back in Stock. Recently, we've been suffering from somewhat of a scope shortage. However, things have now improved greatly with the return to availability of three good airgun-rated zoom scopes, all with mil dot reticles and close focusing. The Leapers 3-9 x 32AO scope, Model SCP-U392AODT2 is supplied with airgun rings, flip open lens caps and focuses down to 5 yards. This is an excellent scope for airgun use as it features the TF2+ turrets that pull out to adjust and then simply push back to lock. 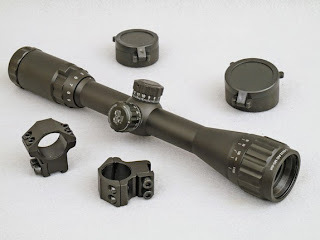 The very popular Hammers 3-9x zoom scopes are also available again. These scopes are both supplied with a solid one piece airgun mount and are very similar except for the objective diameter. See if you can tell the difference!